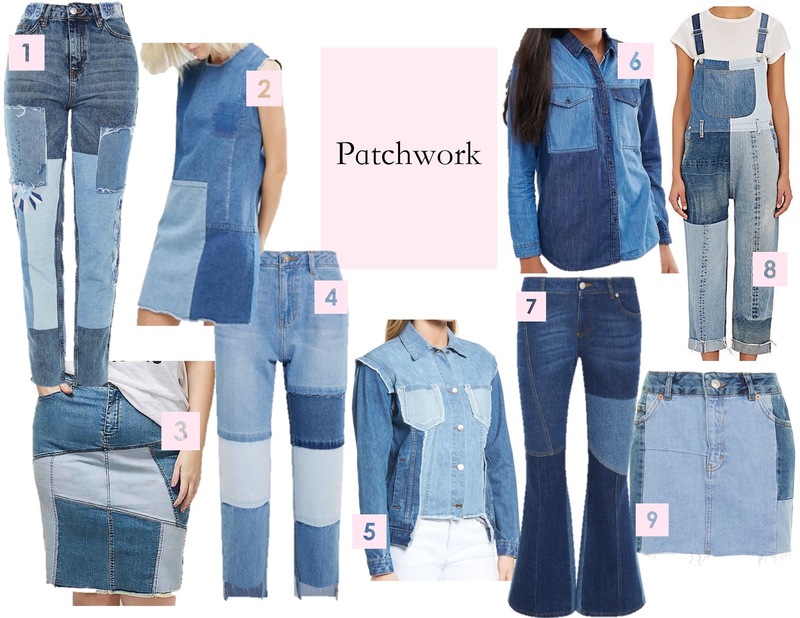 I'm loving all the new denim trends for the year. 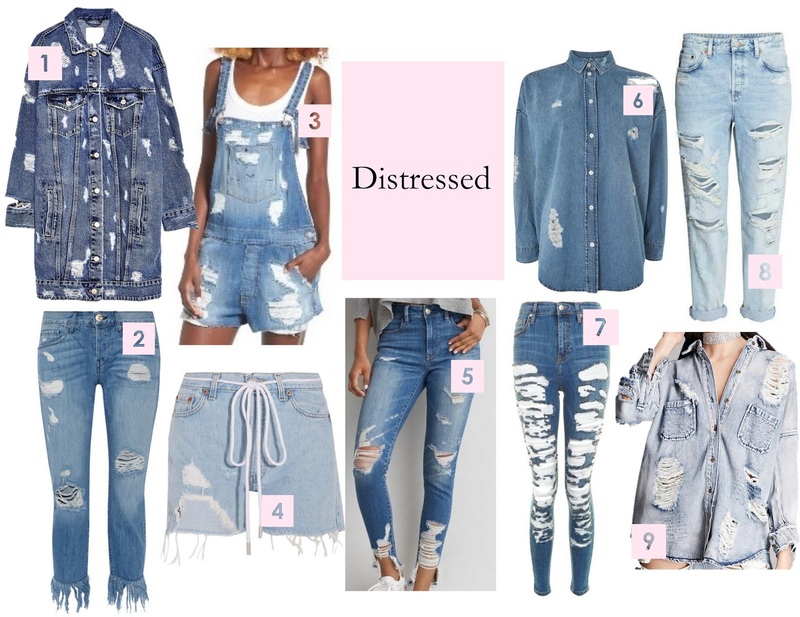 In particular I really like the embellished, patchwork, and distressed denim looks. 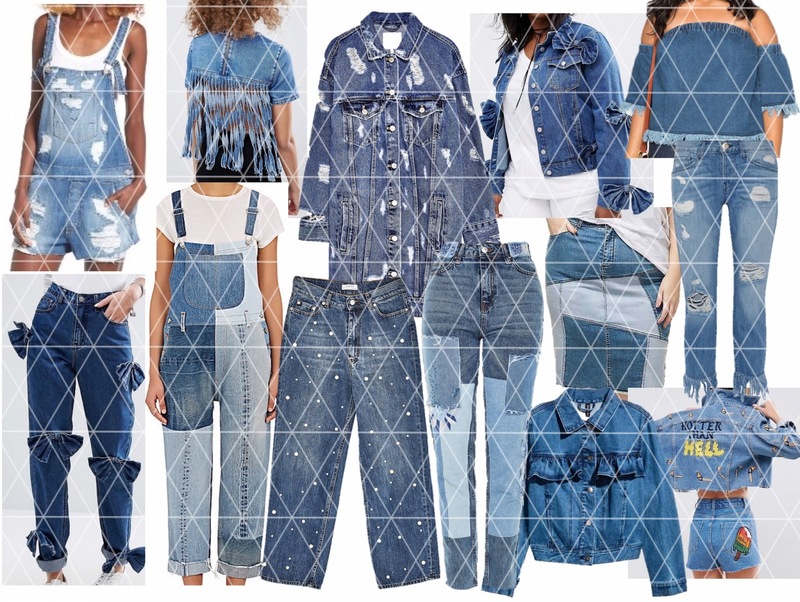 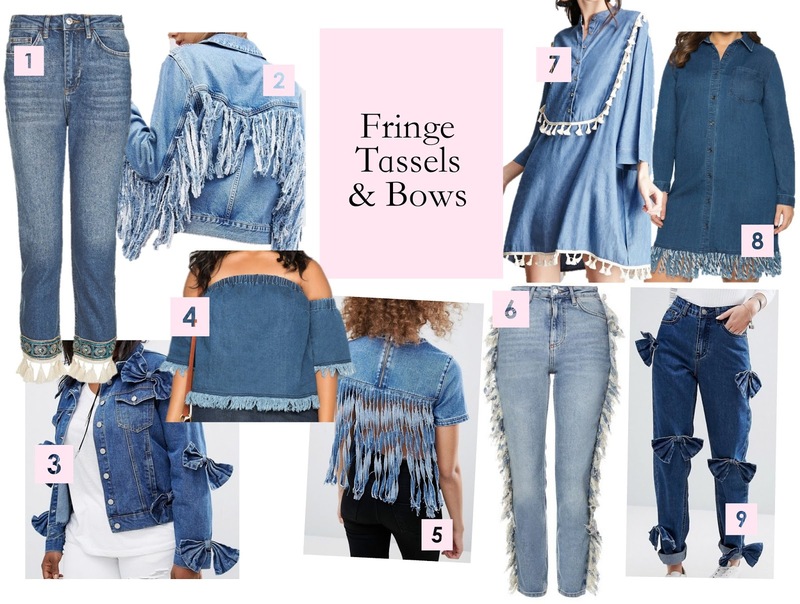 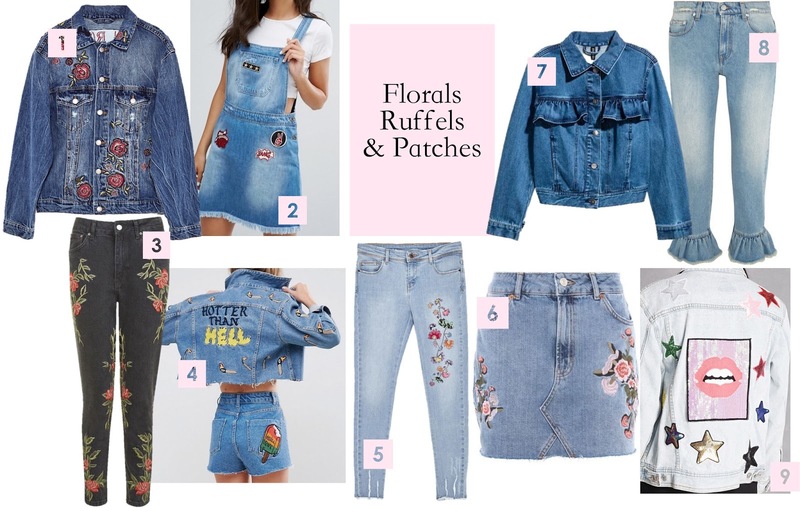 I decided to pick my favorite denim pieces that are great examples of the trends that I love. 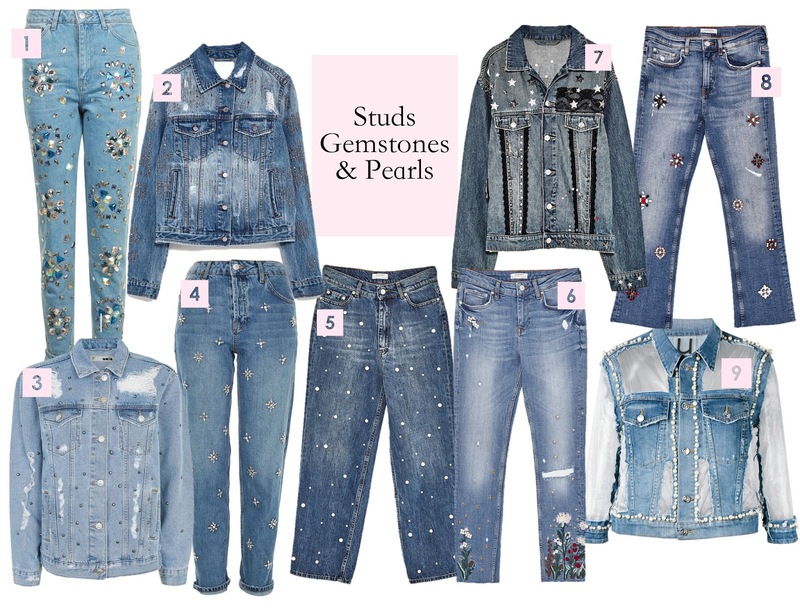 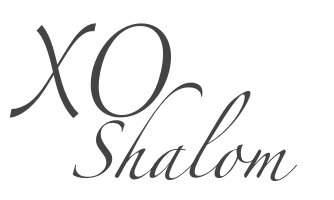 The categories of the trends range from gemstones, florals, bows, pearls, fringe, and so much more.